The Capable Communications Partner Program provides all professionals and consultants the opportunity to offer their clients the benefits of Capable Communications cost saving solutions. Capable Communications services are an ideal offering in challenging economic times; you are not “selling”, you are offering expense reduction. We deliver significant savings to our customers, allowing us to offer excellent commissions for our partners, including upfront and residual components. Partners simply refer prospective clients and schedule initial calls or meetings with Capable Communications representatives. 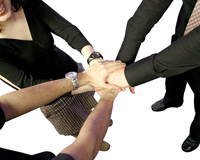 Capable Communications will perform all consulting functions including bill reviews and audits. Partners receive a lucrative commission on all net revenues received. In addition, Partners have no quota responsibilities. 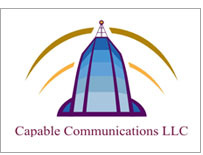 If you are interested in becoming an authorized agent or referral partner of Capable Communications, please fill out the form below or e-mail us at info@capablecomm.com. You can also call us at 609 301-5544.